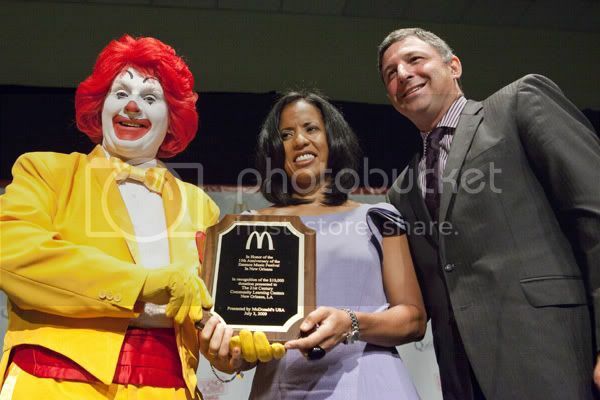 Via Press Release: McDonald's 2009 365Black Awards continues to recognize prominent African Americans in a year when the concept of change has gained significant attention. Each 2009 recipient of the McDonald's 365Black Awards is inspiring and stimulating change that will impact African Americans and all Americans. They are also examples of exceptional community service, empowering new generations for years to come. Celebrities and dignitaries from across the country joined event emcee Tom Joyner, nationally syndicated radio personality and one of the first recipients of the 365Black Award, on Friday, July 3, 2009 at the Ernest Morial Convention Center in New Orleans, to recognize the accomplishments of several noteworthy individuals. This year McDonald's recognizes Black Enterprise publisher Earl G. Graves, Sr.; CNN journalist Soledad O'Brien; NBA legend and philanthropist Alonzo Mourning; House Majority Whip and Congressman James E. Clyburn (D-SC) and McDonald's Owner and Operator Frank E. Mason. These individuals join the ranks of previous 365Black honorees, including the Rev. 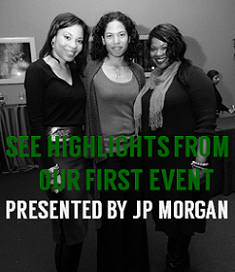 Jesse Jackson, ESSENCE Magazine president Michelle Ebanks and founder Susan Taylor, along with journalist Roland Martin and educator Johnnetta B. Cole. "This year's McDonald's 365Black Awards recipients are revolutionizing what it means to be a leader in America. They are accomplished people of tremendous influence, committed to community service, and they have a vision that transcends this current generation," said Neil Golden, Senior Vice President and Chief Marketing Officer, McDonald's USA. "They inspire all of us with their leadership in areas that touch our lives." Earl G. Graves Sr. is founder of BLACK ENTERPRISE MAGAZINE. Today BE presents the state of enterprise in the African American community, providing information and advice to 4.3 million regular readers. 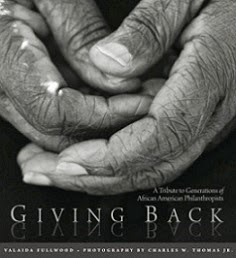 Graves is recognized for providing information that for decades has perpetuated economic growth, development and achievement in the African American community at large. Soledad O'Brien is an Emmy Award-winning journalist and current anchor and special correspondent for CNN Worldwide. Soledad's in-depth reporting continues to capture national attention, from her riveting live coverage of Hurricane Katrina to the breakthrough 2008 CNN series, "Black in America." O'Brien is recognized for her reporting excellence and commitment to educate the world about African Americans in America. Alonzo Mourning, recently retired NBA star and longtime friend of McDonald's, is also the founder of Alonzo Mourning Charities. Created to encourage the educational development of youth by developing programs and enrichment centers in low socioeconomic communities, his philanthropic work has raised more than $6.5 million for various programs that aid in the development of children and their families. Congressman James E. Clyburn is the House Majority Whip for the United States House of Representatives. Representing the state of South Carolina, Clyburn is recognized for his lifelong dedication to improving conditions for African Americans, for his services to the community at large, and for his stellar performance as one of our nation's highest ranking government officials. Frank Mason is the owner/operator of 10 McDonald's restaurants in the New York Metro region. Mason has contributed nearly $1 million dollars toward an academic scholarship for African American male students in memory of his late son, Robert Todd Mason at Dillard University in New Orleans and has donated approximately $1 million dollars to the YMCA toward assisting inner-city youth. He is recognized because of his commitment in resources and time to the educational development of African American youth. The 365Black Awards were launched in 2002 and are an extension of McDonald's 365Black initiative, created to celebrate the pride, heritage and achievements of African Americans yearlong. McDonald's outreach under the 365Black platform includes the web site www.mcdonalds.com/365black, as well as alliances with organizations that provide opportunities for African Americans to succeed. Can someone please tell me what a Baobab tree has to do with culture and life in the United States? And how many people of African decent have ever eaten Baobab fruit or even know what the hell a Baobab Tree is? I feel bad for the actual Africans being nourished be this tree if it’s fruit is compared to McDonald’s food. Does the Baobab Tree clog arteries and rob the body of essential vitamins and nutrients too? Not to mention, the girl in the in the video is easily less than 50% recent African decent anyway. The whole concept is retarded. Doodiepants.com wrote something up about it as well.